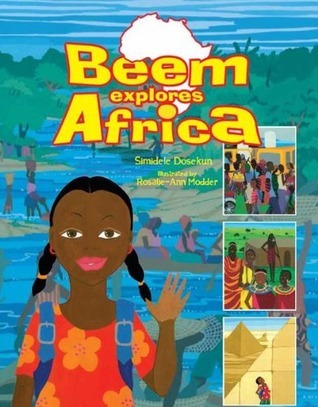 Beem Explores Africa will be a great book to add to my cultural literature unit. The story is about a young girl and her journey throughout Africa. The book does a great job exploring the the different physical features of Africa through very vivid and beautiful illustrations. I can imagine presenting this story to my students and having them make relationships between Beem and themselves. If you are looking for a fun informational book that has great illustrations and powerful cultural connections, this book would be a great choice. Ms MAY loves its contents. It was a good book and i leant quite a few things about Africa in a very fun way..